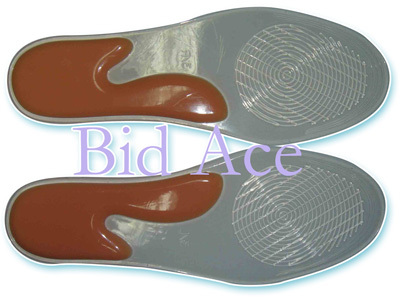 The silicone insoles of BDAC are made from 100% silicone that provides superior shock absorption, excellent cushioning, and long-lasting comfort. Silicone absorbs shocks, will not lose its shape or harden, will remain odor-free. 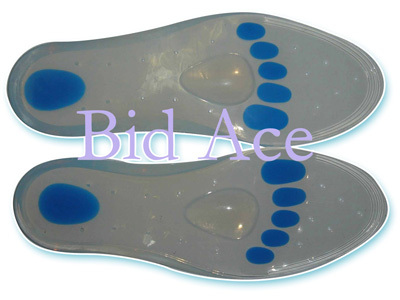 The blue inserts, which is a softer profile provide additional protection and shock absorption, relieve pressure on painful heel and metatarsal areas. The ventilation holes permit air circulation to alleviate heat and moisture and to create a breathable, dry environment for your feet. A slight arch contour and raised metatarsal pad provide gentle support and aid in the proper alignment of the metatarsal heads. Indicated for plantar pain, heel pain/heel spurs, neuromas, metatarsalgia, plantar fat pad atrophy, shin splints, fascitis. They can easily be trimmed with scissors for a perfect fit. The nacarat insert, which is softer, provide additional protection and shock absorption, relieve pressure on painful heel. 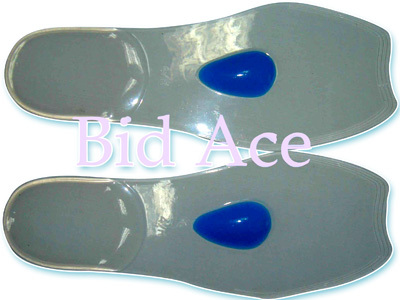 The slight heel cradle provides gentle arch support and heel stability. A unique grain on metatarsal area helps alleviating the uncomfortable sensation of the ball-of-feet. Indicated for plantar pain, heel pain/heel spurs, neuromas, metatarsalgia, plantar fat pad atrophy, shin splints, fascitis. The nacarat inserts which is a softer profile provide additional protection and shock absorption, relieve pressure on painful heel and metatarsal areas. The ventilation holes permit air circulation to alleviate heat and moisture and to create a breathable, dry environment for your feet. A slight arch contour and raised metatarsal pad provide gentle support and aid in the proper alignment of the metatarsal heads. Indicated for plantar pain, heel pain/heel spurs, neuromas, metatarsalgia, plantar fat pad atrophy, shin splints, fascitis. They can easily be trimmed with scissors for a perfect fit. The raised small balls on heel and fore foot areas massage the heel and metatarsal areas. 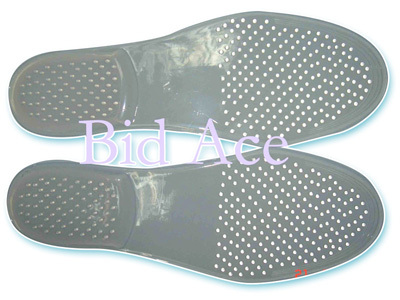 The thicker heel area can reduce the pressure on the heel, supply additional shock absorption. Indicated for plantar pain, heel pain/heel spurs, neuromas, metatarsalgia, plantar fat pad atrophy, shin splints, fascitis. They can easily be trimmed with scissors for a perfect fit. 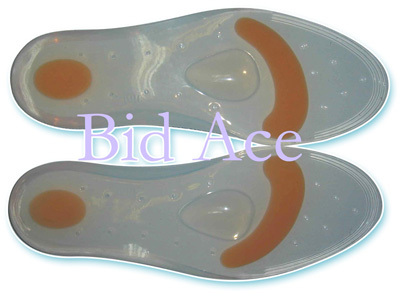 The little thicker and harder heel area reduces the pressure and supply additional shock absorption. A slight arch contour and raised metatarsal pad provide gentle support and aid in the proper alignment of the metatarsal heads. Indicated for plantar pain, heel pain/heel spurs, neuromas, metatarsalgia, plantar fat pad atrophy, shin splints, fascitis. They can easily be trimmed with scissors for a perfect fit.